Are you looking for an attractive award to present your competition participants? 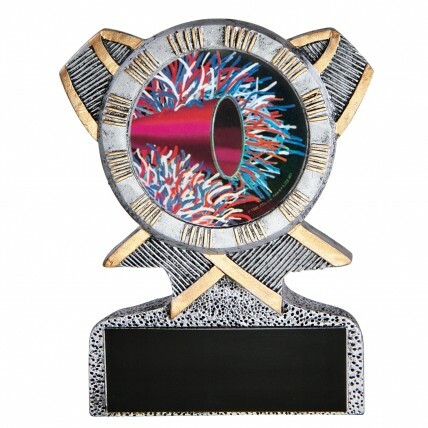 The Silver Ribbon Resin Cheer Trophies are 5 inches in height and feature antique silver coloring with gold accents. A holographic pompom mylar insert draws in the eye and is sure to excite your team! All trophies include three lines of free engraving.